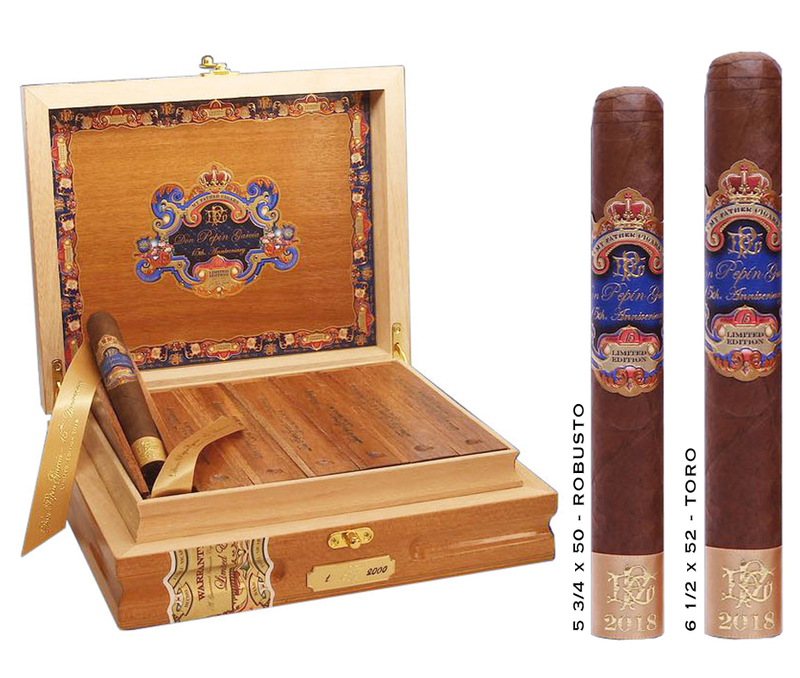 Don Pepin 15th Anniversary - Buy Premium Cigars Online From 2 Guys Cigars . 15 years ago, Don Pepin Garcia opened his cigar factory in Little Havana, a section of Miami that is home to a large Cuban population. From his small storefront he would begin the steps of building an empire for him and his family. To celebrate 15 Amazing years he has released a cigar that is limited to just 2,000 boxes of 14. Featuring a Nicaraguan Habano Rosado Oscuro wrapper that is loaded with oils. The cigar is rounded out with a Nicaraguan binder and filler. The secret is that the filler contains the rare Pelo de Oro tobacco masterfully grown and cultivated by the Garcia family. Lighting up the cigar your treated with with notes consisting of mocha, coffee nuts and the slightest hints of leather. It's a cigar that is worthy of a special occasion and is a testament to the great products from the My Father Cigar factory.